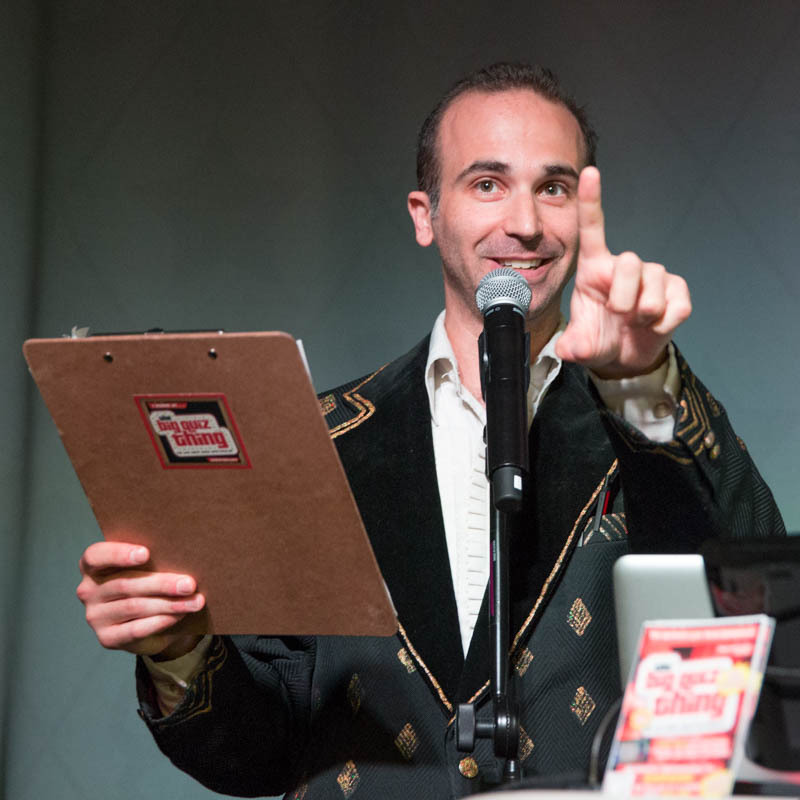 As you might imagine, our multimedia quiz party business involves a heck of a lot more than asking trivia questions. In fact, a huge aspect of it is answering questions—as with anyone who provides a professional service, clients who hire us for their own trivia nights always have queries for us: They want to know what we can offer and how we can offer it in the realm of corporate trivia. —Gift cards. Easy to acquire, desirable, lots of variety, relatively inexpensive. Plus, I can be real smooth about pulling them out of my quizmaster jacket pocket. —Novelty trophies/medals. Available at any party-goods store, and they add to the whole game-show milieu. Depending on the design, we can even simply customize them with a company-logo sticker (or, why not, a Big Quiz Thing sticker). —A corporate perk. This is a fun one: Several companies we’ve worked with have given members of the winning team a company prize. We’ve awarded extra telecommuting days, an in-office ice cream bash, even—for one group of summer interns—a group lunch date with the CEO. Yes, you college go-getters, your ultimate business success depends on how well you answer trivia questions about M&M’s. —Puzzle books and pocket games. Twenty minutes and 50 bucks at Barnes & Noble can get you a huge bag of mini board games, portable games, puzzle books, etc., that can be super fun for a winning team to split up and take home. —Something big. Want to go deluxe? We’ve given away $10k online gift certificates, brand-new iPods, a basket of Google Chromecast media players (those are actually pretty cheap, but they look impressive). No better way to really get the competitive juices flowing. Of course, none of this is strictly necessary. One prize that comes with every BQT event at no extra charge is the honor and glory of knowing you possess more useless knowledge than your colleagues. When it comes to trivia parties, we guarantee fun—and competition—regardless of the goodies at stake. 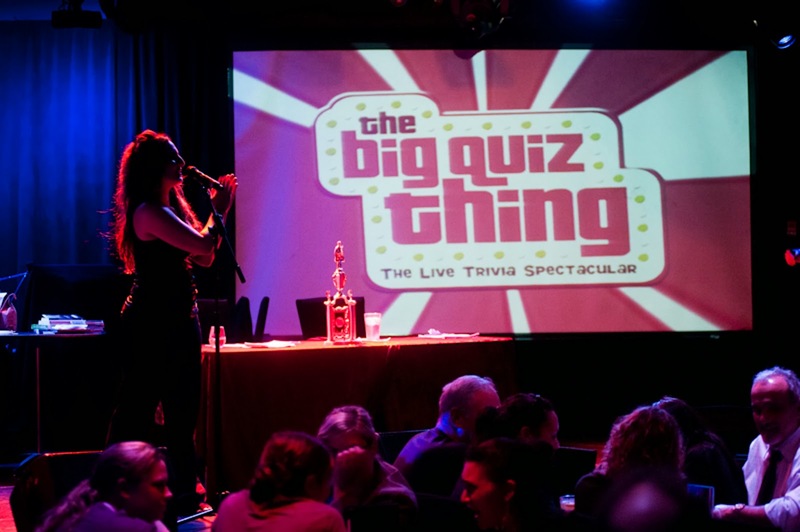 Another reason that when it comes to corporate trivia parties, you never lose with the Big Quiz Thing. 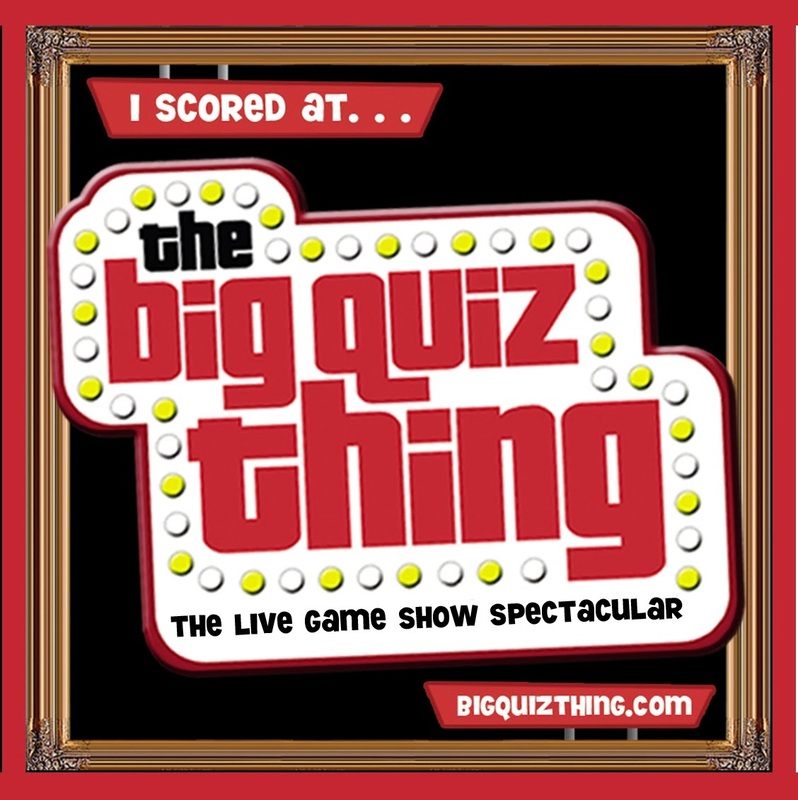 CLICK HERE TO LEARN MORE ABOUT HOW THE BIG QUIZ THING PROVIDES THE ULTIMATE IN CORPORATE QUIZ EVENTS AND CUSTOM TRIVIA NIGHTS!